I have demonstrated a sustained interest in issues of global economy and, specifically, consumption, creative and digital economy, and globalization within that theme. The design industry is a significant part of the creative economy internationally. My analysis of Italian design examined the complex provenance of Italian design within and beyond that nation state. Italy attracts design talent from around the world and Italian design is enthusiastically consumed globally. My research has been published in, for example, ‘Italianità and Internationalism: the Design, Production and Marketing of Alessi, s.p.a.’ and a collection of essays co-edited with Prof Kjetil Fallan (University of Oslo) Made in Italy: Rethinking a Century of Italian Design (London: Bloomsbury Academic, 2014). Made in Italy showcases the work of authors from Italy, the US, Belgium, Norway and the UK. A reviewer for the Journal of Modern Italian Studies praised the book for ‘a fresh historiographical perspective’ which ‘expands the traditional national, historical and sectorial boundaries of Italian design’ while the Journal of Design History reviewer acknowledged the book’s originality. ‘Playing at Home/Playing Away: Alessi and Italian Domesticity’ for ‘'The Italian Home' annual symposium of CIRN - Cambridge Italian Research Network1 June 2015. ‘The Modern Beauty of Italian Design’, Research Talk, Italian Studies Department, Villanova University, 6 February 2018. Listen to an interview discussion between Dr Luca Cottini and myself, recorded when I was at Villanova University, in February 2018. ‘Bruno Munari, Designer’, Presentation and Panel Discussion, Institute of Advanced Studies, University College London, 12 June 2018. Another of my research projects, Designing Domesticity, models a transatlantic ‘domestic dialogue’ between the UK and the USA, and calls for more transnational and comparative work in the histories of design and culture. In terms of consumption, the research outputs resulting from the Designing Domesticity project argued for domestic practice as a form of amateur design understood as encompassing production, consumption and mediation while my influential article ‘The Production-Consumption-Mediation Paradigm' models the development of design history as based on successive, and overlapping, production, consumption and mediation turns. Alessi retailer Caz Systems, Brighton, UK, 1995. ‘The Global History of Design and Material Culture,’ panel, College Art Association annual conference New York City, USA, 11-14 February 2015. Lees-Maffei, G. & K. Fallan, eds. Made in Italy: Rethinking a Century of Italian Design (London: Bloomsbury Academic, 2014). Fallan, K. & G. Lees-Maffei, eds. Designing Worlds: National Design Histories in an Age of Globalization. New York: Berghahn, 2016 (hardback and open access editions), 2018 (paperback). Fallan, K. & G. Lees-Maffei, eds. Designing Worlds: National Design Histories in an Age of Globalization. New York: Berghahn, 2016 (hardback, open access), 2018 (paperback). Read more about this book here. Lees-Maffei, G. & K. Fallan, eds. Made in Italy: Rethinking a Century of Italian Design(London: Bloomsbury Academic, 2014). Read more about this book here. Fallan, K. & G. Lees-Maffei. ‘Real Imagined Communities: National Narratives and the Globalization of Design History’, Design Issues 32, no. 1 (Winter 2016): 5-18. Published in German as Kjetil Fallan and Grace Lees-Maffai [sic] (2018). Reale imaginierte Gemeinschaften: Nationale Narrative und die Globalisierung der Designgeschichte. In Eva Knopf, Sophie Lembcke, Mara Recklies (Eds. ), Archive dekolonialisieren (223-240). Bielefeld: transcript Verlag. Huppatz, D. J. & G. Lees-Maffei. ‘Why Design History? A Multi-National Perspective on the State and Purpose of the Field,’ Arts and Humanities in Higher Education12, no. 3 (July 2013): 310-330. Lees-Maffei, G. ‘Italianità and Internationalism: the Design, Production and Marketing of Alessi, s.p.a.’, Modern Italy 7 no.1 (2002): 37-57. 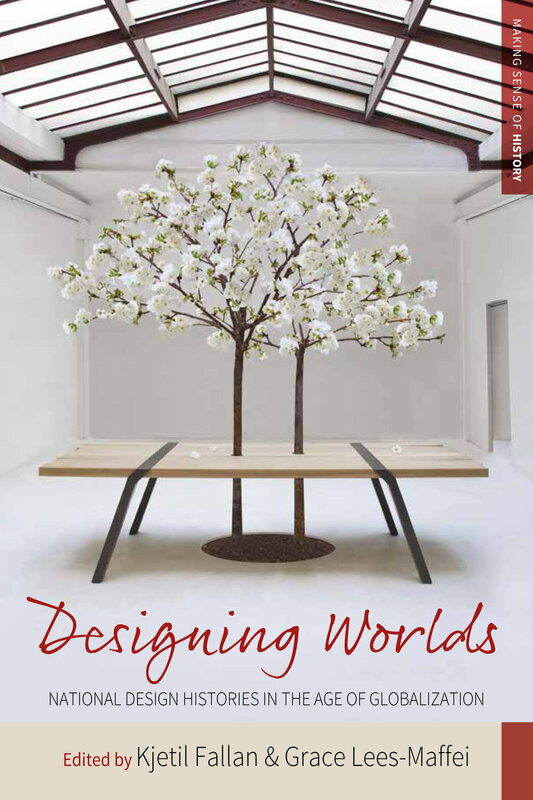 ‘“Why then the world's mine oyster”: Consumption and Globalization’ in The Routledge Companion to Design Studies, ed. P. Sparke & F. Fisher, 445-456 (Abingdon: Routledge, 2016). Fallan, K. & G. Lees-Maffei. ‘Introduction,’ Designing Worlds: National Design Histories in an Age of Globalization, ed. G. Lees-Maffei and K. Fallan, 1-21 (New York & Oxford: Berghahn, 2016). ‘A Special Relationship: The Transatlantic Domestic Dialogue,’ Designing Worlds: National Design Histories in an Age of Globalization, ed. G. Lees-Maffei and K. Fallan, 188-210 (New York & Oxford: Berghahn, 2016). Lees-Maffei, G. and K. Fallan. ‘Introduction: Made in Italy,’ in Made in Italy: Rethinking a Century of Italian Design, ed. G. Lees-Maffei and K. Fallan, 1-33 (London: Bloomsbury, 2013). Lees-Maffei, G. ‘‘‘Made’ in England? The Mediation of Alessi S.p.A.’ in Made in Italy: Rethinking a Century of Italian Design, ed. G. Lees-Maffei and K. Fallan, 287-303(London: Bloomsbury, 2013). 'Unity by design? Why the EU needs a stronger visual identity', The Conversation, 22 June 2016. ‘Food, family and God: How Italy won the race for beauty’,CNN Style.com, 25 February 2016. In Spanish as ‘Comida, familia y Dios: cómo Italia ganó la carrera por la belleza’, 1 March 2016. In German as ‘Italien ist mehr als nur Essen, Familie und Gott‘ in Die Welt, 7 March 2016.